The mission of the UH Men’s volleyball booster club is to provide financial and moral support to the student-athletes and coaches through fundraisers, team activities and Club dues. Club members enjoy direct interaction with the players and coaches through periodic potlucks and postgame meals. These activities are supported by the Club to provide the support that the program needs. 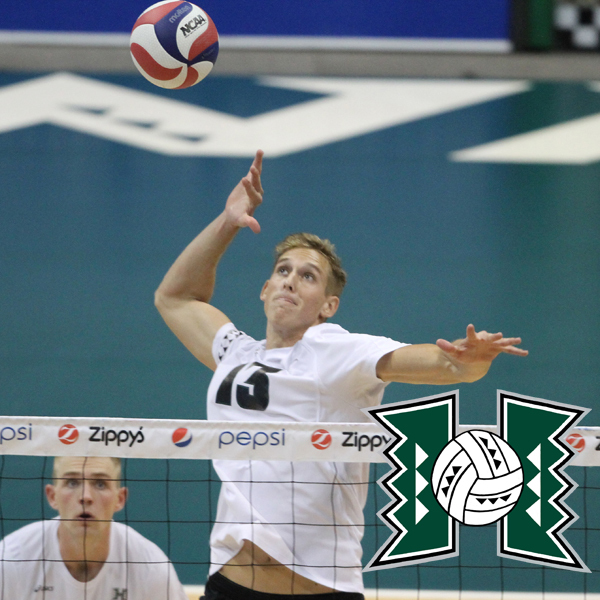 The Club also hosts an annual “A o a Koa” Dinner that benefits the Rainbow Warrior Men’s Volleyball with a live and silent auctions as well as other activities. The Club hosts this and other activities to promote interaction between the team and the fans through NCAA-sanctioned activities. Different membership levels are available with varying benefits depending on the level. Please join today! For the club's most recent newsletter, please click here. Click HERE for 2019 Booster Club Membership Application or click on below online link to pay with credi card. The 2019 UH Men’s Volleyball Team is readying for a shot at the National Title. Tournament teams include Pepperdine, USC, and BYU. This year's squad also had the special opportunity to play Nittaidai University in Japan in November. Please consider supporting our boys and help with program expenses by joining the booster club or by making an online donation. Go Bows! © 2016 ‘Ahahui Koa Ānuenue. All rights reserved.